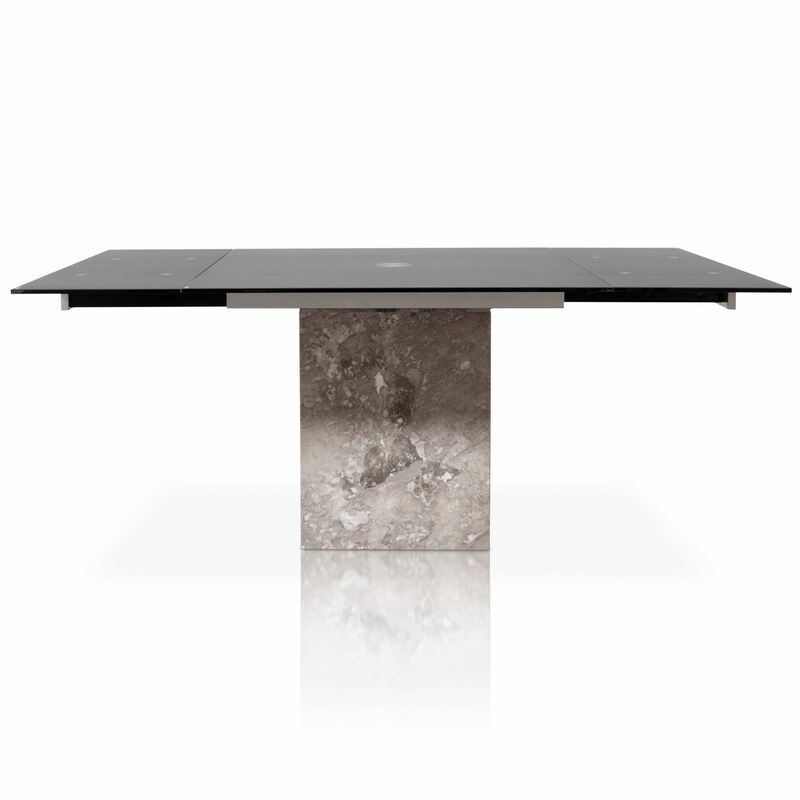 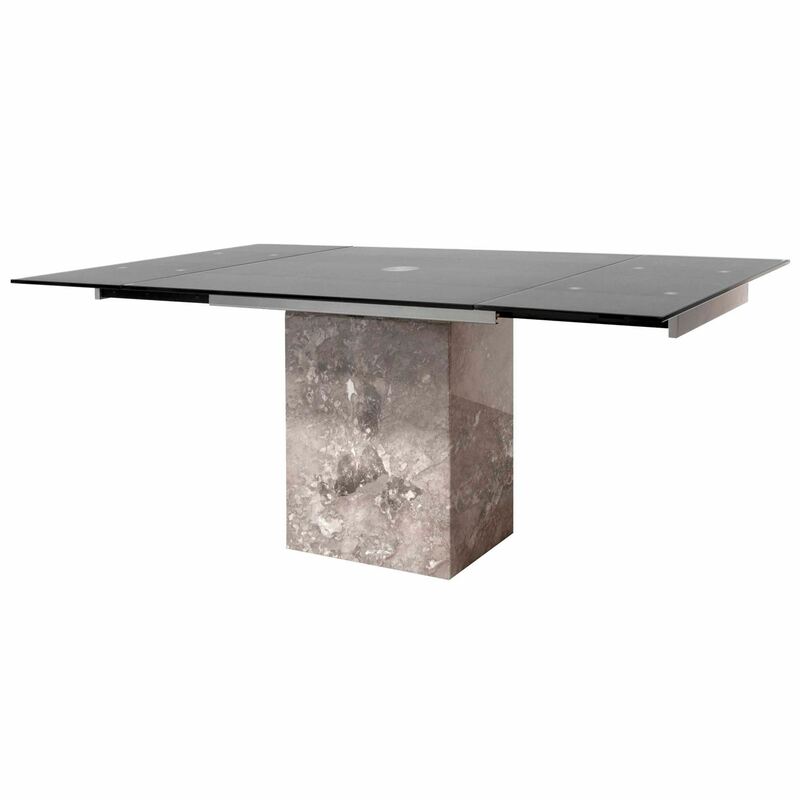 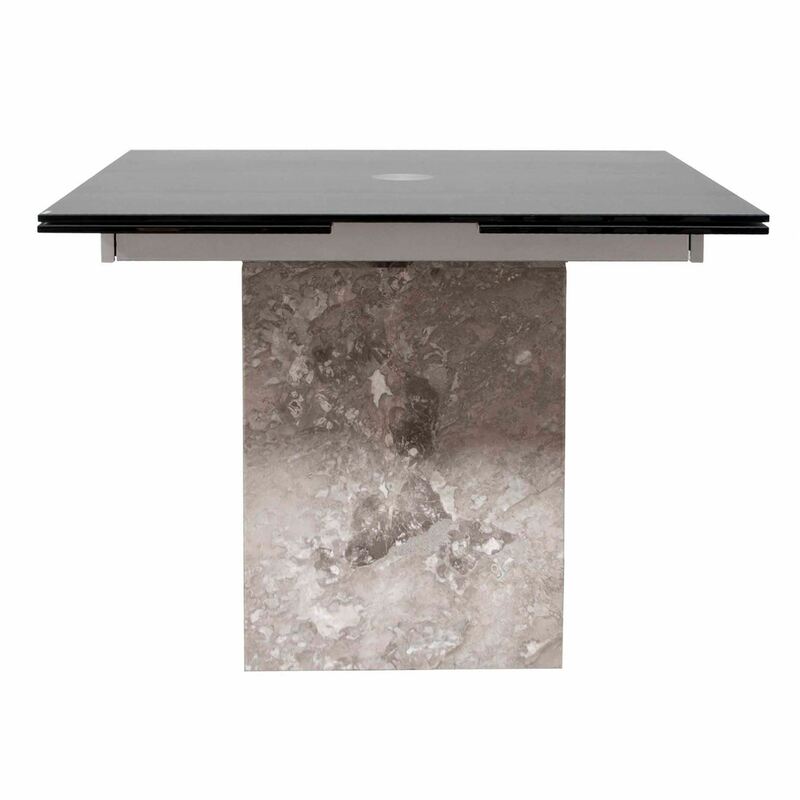 Low sheen onyx black glass top with gray marble base. 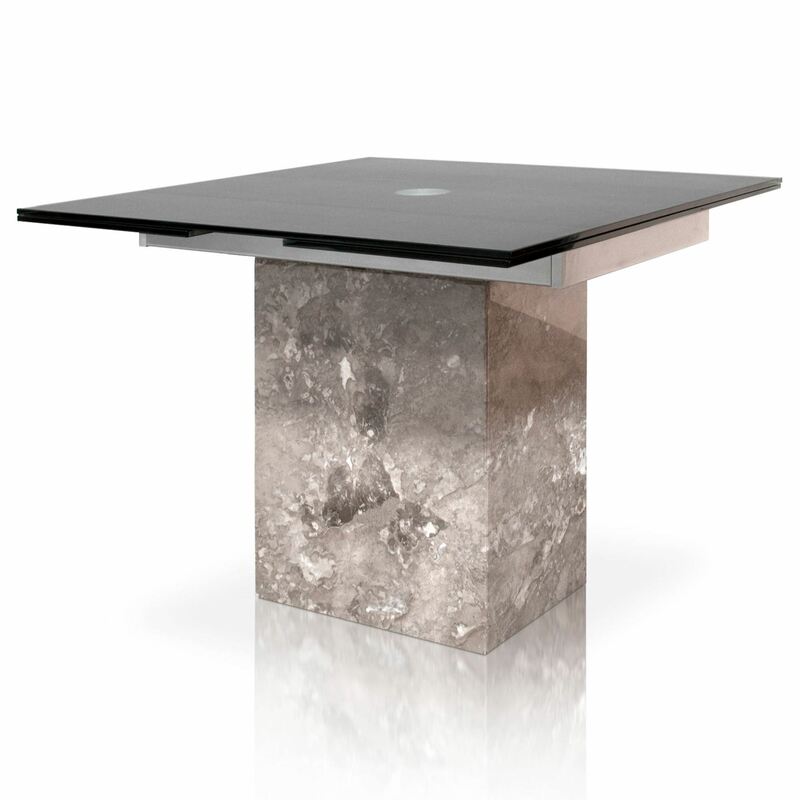 The glass surface is etched giving it a low sheen velvety touch. 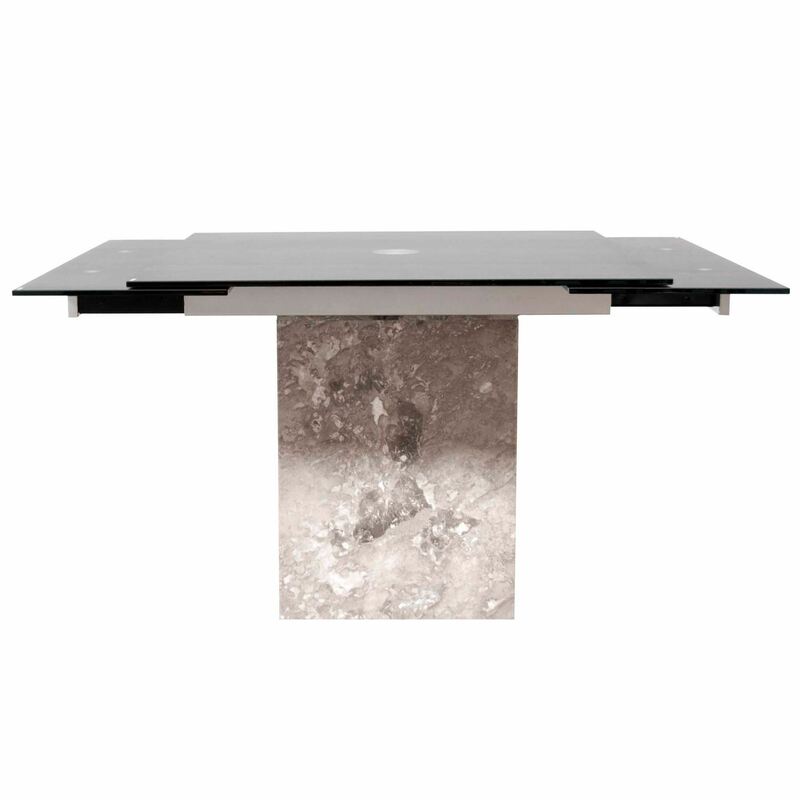 Self storing leaves stow and extend from the ends of the table, opening the table from 39" square to 71" rectangle. 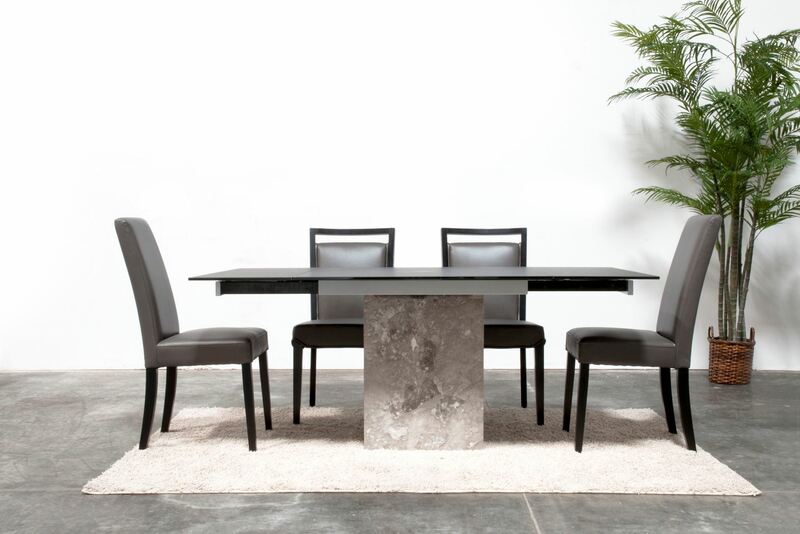 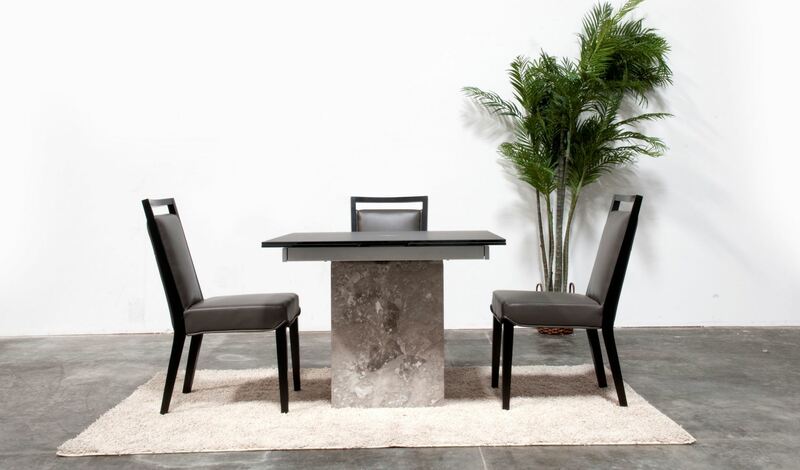 The Onyx Dining Table by Star International is a perfect fit for any home in need of a small dining table that can expand when company comes over. 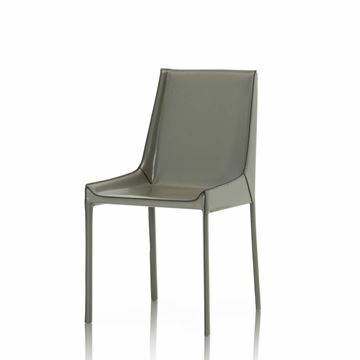 The Enzo Side Chair in Pebble eco-pelle by Star International Furniture. 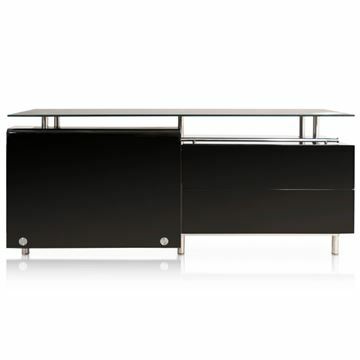 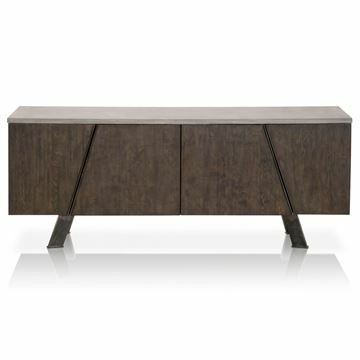 The wood legs and upper frame are crafted in satin black. 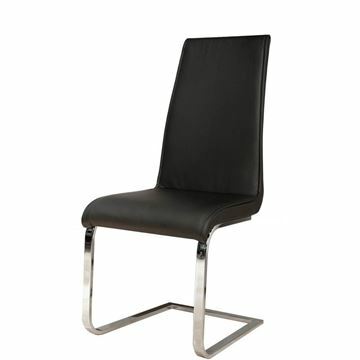 The upper frame is a perfect handle for gripping the chair, making it easy to move about. 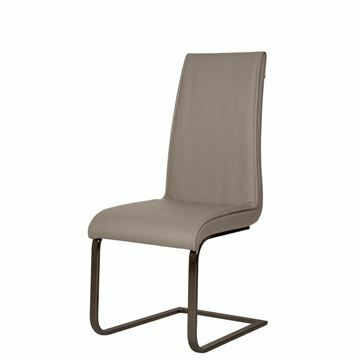 The overall chair tapers very slightly from top to bottom. 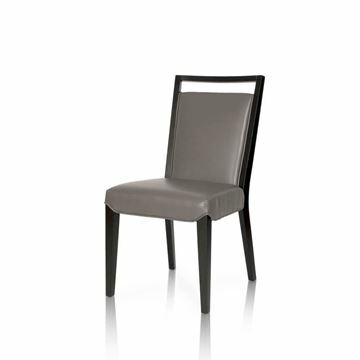 The Enzo is a wonderfully versatile dining chair, easy to use with just about any dining room table.